Yet another mooring place used by liveaboard boaters is under threat. This time it is the stretch of the River Avon at Mead Lane, Saltford. 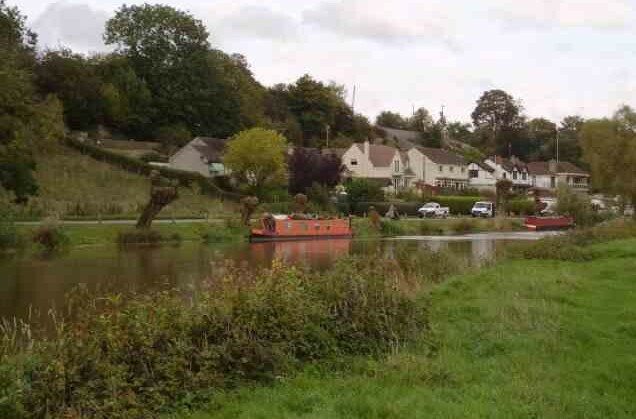 Local anti-boater residents are calling for Saltford Parish Council to work with BaNES and CRT to restrict boats mooring at Mead Lane, where BaNES is the riparian land owner. The Parish Council and local residents want mooring to be banned altogether at Mead Lane, but have also proposed a 48 hour time limit with no return within 14 days. While boaters without home moorings who stay longer than 14 days at Mead Lane are clearly contravening Section 17 3 c ii of the British Waterways Act 1995, there is no lawful justification for restricting mooring at Mead Lane to 48 hours with no return within 14 days or for banning mooring altogether. Boaters who travel on the River Avon have long been aware that CRT do not carry out regular boat checks on the Avon in the same way as on the canal. They know this because a significant number of boaters without home moorings have been subjected to enforcement action by CRT when they have travelled on the River Avon but have not been logged by CRT’s boat checkers, leading to CRT’s enforcement staff assuming that they have not travelled “far enough” and initiating enforcement action as the result of CRT’s own failure to patrol the river. The appropriate solution if there is overstaying at Mead Lane and other locations on the Avon is for CRT to enforce the 14-day limit in the same way as it does on the canal. The vast majority of boaters do move if they receive a correct letter, email or text from CRT stating they have stayed longer than 14 days in a place. The minority who are left are a manageable case load for the enforcement team. Local residents appear to be under the impression that mooring at Mead Lane is illegal; this is erroneous as any contravention of the British Waterways Act 1995 is a civil matter, as is trespass on private land. Issues connected with the Public Right of Navigation on all natural rivers are also either civil law or common law matters, depending whether the Public Right of Navigation has been codified in Statute, which in the case of the River Avon it has not been. The residents at Mead Lane appear to be regularly spying on the homes of liveaboard boaters and, predictably, with no evidence, both Parish Council and residents accuse boaters of emptying their toilets into the river and of having “undesirable looking” boats. Below is an example from an email between Saltford Parish Councillor Phil Harding and the Parish Clerk, obtained by a Freedom of Information request. You can download the correspondence and see the link to Parish Council minutes at the end of this article. I don’t think we can allow this illegal mooring to go unchallenged all summer as the boat owners are denying residents and visitors from use of the riverbank (angling, sunbathing etc.) and are preventing BaNES from cutting the grass verge. They are also using the wooden traffic bollards for mooring; I would suggest that those bollards would make ideal fixing points for no mooring signs facing the river. BaNES is also likely to impose a Traffic Regulation Order during 2016-17 to prevent boaters parking their cars in Mead Lane for long periods or overnight, a move that if implemented would inconvenience thousands of BaNES residents who visit the area for a peaceful day out by the river. This is a formal complaint in line with your complaints procedure. I am writing to complain about the proposals discussed by Saltford Parish Council, BaNES Council and Canal & River Trust (CRT) to either restrict mooring at Mead Lane, Saltford to 48 hours with no return in 14 days or to ban mooring at Mead Lane altogether. Section 17 3 c ii of the British Waterways Act 1995 entitles boaters without a permanent mooring on all CRT waterways including the River Avon to remain for up to 14 continuous days in any one place and to stay longer in one place if it is reasonable in the circumstances. Any additional instructions from CRT such as travelling through a specific number of neighbourhoods in a stated time period; travelling a specific distance, or not returning to a place within a specific time limit, go beyond what is stated in the British Waterways Act 1995 and are therefore unlawful. Therefore boaters who have moored at Mead Lane and left the location may lawfully return there later. If it is reasonable to do so, they may stay longer than 14 continuous days in one place. “Reasonable” cannot be defined in law (see Moore v British Waterways  EWCA Civ 73), but for practical purposes it means circumstances such as navigation stoppage, insufficient depth of water, impassable ice, severe weather, illness, injury, childbirth, mechanical breakdown, bereavement, family emergency, etc. There is no requirement to display a notice or permit for a stay of more than 14 continuous days. In addition, a Public Right of Navigation exists on all navigable rivers in the UK. This includes the River Avon. The authority of Crown Estate Commissioners v Fairlie Yacht Slip Ltd  Scot CS CSIH 3 confirms that while a Public Right of Navigation does not extend to the right to lay permanent mooring structures, where a Public Right of Navigation exists, it includes the right to moor for temporary periods using equipment that is intended to be, and can conveniently be, taken onto and carried on board the vessel in the ordinary course of use (such as ropes and mooring pins). In the Fairlie Yacht Slip case, the Court made no ruling on what length of time constitutes “temporary”. The reasonableness of the length of each stay depends on factors such as the circumstances of each boat and on river and weather conditions. As the British Waterways Act 1995 also applies to the River Avon, in this case “temporary” means up to 14 continuous days and longer if it is reasonable in the circumstances. Therefore to restrict mooring to 48 hours with no return for 14 days is an unlawful and unreasonable interference with the Public Right of Navigation. As a public body BaNES Council is required to exercise statutory power in a reasonable manner following the authority of Associated Provincial Picture Houses v Wednesbury Corporation  1KB 223. While boaters without home moorings who stay longer than 14 days at Mead Lane without a good reason are clearly contravening Section 17 3 c ii of the British Waterways Act 1995, there is no lawful route to restrict mooring at Mead Lane to 48 hours with no return within 14 days or to ban mooring there altogether. CRT does not carry out regular boat checks on the River Avon in the same way as on the canal. The boat checks are carried out once a month or less frequently. The purpose of these boat checks is to determine whether boats are overstaying and thus in breach of Section 17 3 c ii of the British Waterways Act 1995. A boat that has been logged as overstaying will be subject to enforcement action. The ultimate consequence of enforcement action is the seizure and removal of a boat using CRT’s powers under Section 8 of the British Waterways Act 1983. It appears that the proposals to restrict or ban mooring at Mead Lane arise from prejudice against travelling communities, as boat dwellers have been accused with no evidence whatsoever of emptying sewage into the river; of having “undesirable looking” boats, and of being “illegally” moored when the legal framework that regulates mooring and navigation on the River Avon is civil, not criminal. It is not appropriate for public bodies such as Saltford Parish Council, BaNES Council and CRT to pander to prejudice in this way. The appropriate solution if there is overstaying in excess of 14 days by boats at Mead Lane (and any other locations on the Avon) is for CRT to enforce the 14-day limit in the same way as it does on the canal. The vast majority of boaters do move if they receive a correct letter, email or text from CRT stating they have stayed longer than 14 days in a place. The minority who are left are a manageable case load for the enforcement team. Boats with permanent moorings are not bound by Section 17 3 c ii of the British Waterways Act 1995 and are free to travel in whatever pattern they wish. However, the Terms and Conditions of the CRT boat licence include a condition not to moor for longer than 14 days in the same place. 1. Abandon any plans to ban mooring at Mead Lane. 2. Abandon any plans to restrict mooring at Mead Lane, Saltford to any time limit that is less than 14 continuous days. 3. Abandon any plans to impose a “no return within” time limit at Mead Lane. 4. Cease and desist from violating the rights of boat dwellers to privacy and respect for their homes under Article 8 of the European Convention on Human Rights by spying on boats and reporting boat movements and/or from encouraging local residents to violate these rights by spying on boats and reporting boat movements. 2nd February 2016 Item 20 “Report from links to outside bodies” – see second paragraph. This entry was posted on Monday, March 28th, 2016 at 8:04 pm	and is filed under A-Featured Articles, CRT Policy News. You can follow any responses to this entry through the RSS 2.0 feed. You can skip to the end and leave a response. Pinging is currently not allowed.